IKEA has agreed to pay $50 million to the families of three toddlers killed in by falling dressers, the families’ lawyers have said. According to the lawyers, the payout, one of the biggest of its kind, reflected the seriousness of the case. Curren Collas, 2, Camden Ellis, 2, and 23-month-old Ted McGee were crushed after Malm dressers from IKEA toppled onto them. The Swedish furniture giant confirmed a “tentative settlement” had been reached. 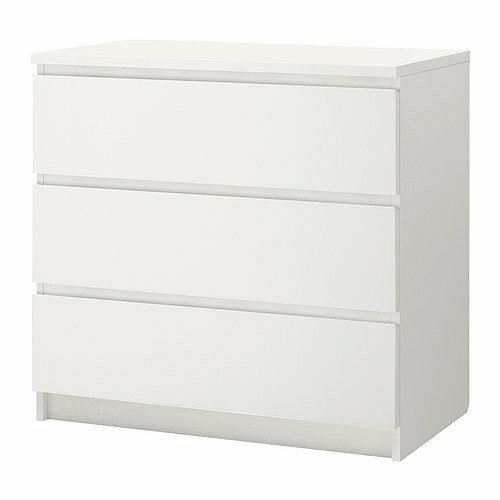 Six months ago, IKEA issued a recall for millions of Malm dressers in North America. Initially, IKEA had warned customers to use wall mounts with them, but the third death in February prompted the recall. Lawyers at Feldman Shepherd said the $50 million would be split evenly between the families. They added that, as part of the settlement, IKEA had also agreed to make three separate $50,000 donations to hospitals in memories of the children and a $100,000 contribution to a charity focused on child safety. According to the law firm, Camden Ellis, from Washington State, was found trapped under a three-drawer Malm in June 2014. Curren Collas, from Pennsylvania, was crushed by a six-drawer Malm in February 2015, and Theodore McGee was killed by the same sized chest a year later. Under the settlement, IKEA has agreed to only sell dressers in the US that meet or exceed the national voluntary safety standard for clothing storage units, Feldman Shepherd said. The law firm added that IKEA would also spend more to raise awareness of the problem, including TV ads, internet and digital communications and in-store warnings. The deaths prompted the US Consumer Product Safety Commission to launch an education campaign about the risk of falling dressers.